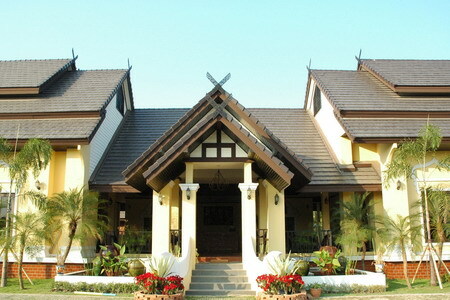 Exotic resort in northern part of Thailand, ChiangMai city for sale. This boutique style resort is in tip-top conditions. Well maintained rooms and buildings. Beautiful garden well taken care off. Completed early last year, we like to invite serious minded person/s for this great business opportunity. A nice lap-pool and also spa and suana facilities. A gym equip with the latest workout machines and resturant has been set up. A conference hall ( air-con ) that can be converted for multi-purpose activities. Sitting capacity is est 150 pax. Beautiful landscape and serene safe surroundings. We have installed security cameras at several stregetic locations. Clear fresh air and beautiful wild forested area nearby.